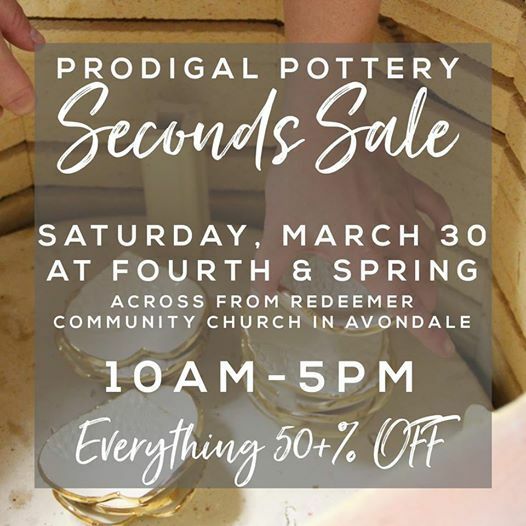 Join us for our first ever SECONDS SALE....all Prodigal Pottery inventory more than 50% OFF, Saturday March 30th from 10-5 at Fourth & Spring (Around the corner from Redeemer Community Church in Avondale, backing up to Cookie Dough Magic. There will be signs pointing you in the right direction. Parking in front of Redeemer Community Church) Open to public, bring your friends along! First 100 shoppers will get a FREE Prodigal Pottery tote bag with purchase. 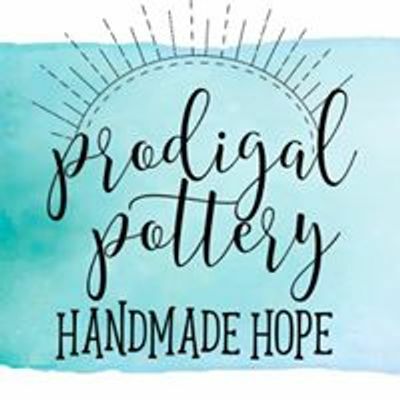 This is a great opportunity to stock up on gifts that give back while still getting amazing deals!